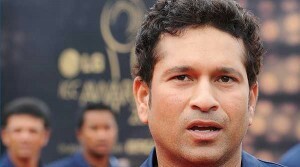 Home » Offbeat » How Sachin Tendulkar’s CV would look like? How Sachin Tendulkar’s CV would look like? Ever wondered, How it will be when Sachin Tendulkar prepare a CV for a interview. Well, here is an self complied CV , which we feel would closely match to the Original CV of Sachin. 6th Grader Brings $20k Cash to School, Distributes to Students!! Next: Bayer Aspirin prevents Heart Attacks?